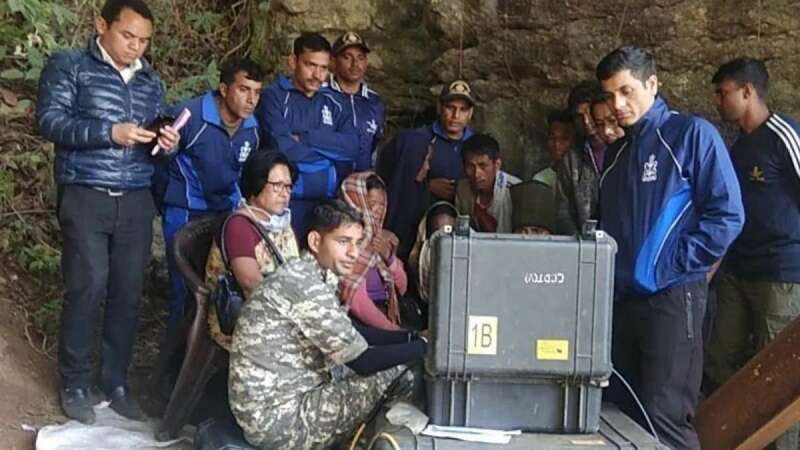 Shillong : The Navy on Sunday "suspended" its operation to retrieve the body of one of the 15 miners trapped inside an illegal 370-ft flooded coal mine in Meghalaya's East Jaintia Hills district, an official said. The miners are trapped for more than a month now since December 13 at Ksan village, about 130 km from Meghalaya's capital Shillong. The miners are presumed dead in the mine. "The Naval divers suspended their operation to retrieve the body of an unidentified miner as the body is disintegrating with every pull by the ROV (underwater remotely operated vehicle) jaw," Rescue Operation spokesperson, Reginald Susngi said. The divers are waiting for further instructions from the Meghalaya government, he said. On Wednesday, the divers had detected a dead body with blue jeans and red T-shirt inside the mine through an UROV and decided to extract it under the supervision of doctors. On Friday, Deputy Commissioner in-charge East Jaintia Hills district, F.M. Dopth visited the families of three of the 15 trapped miners at Lumthari village near the tragedy site and expressed the authorities' "inability" to evacuate them. The families of the trapped miners had said they want the "dead bodies" of the miners to be taken out as per the Supreme Court order. A Supreme Court bench had expressed dissatisfaction with the rescue operation and ordered to take out miners whether they are dead or alive. Coal India Limited, Odisha firefighters, Kirloskar Brothers Limited and Pune-based KSB are dewatering the abandoned coal mine shafts and the main shaft where the miners are trapped.